Whether you've arrived here by referral, or are just browsing the web for someone to tackle a home renovation project, you've come to the right place for quality, reliable, and trustworthy service. Carolina Handysmith L.L.C. 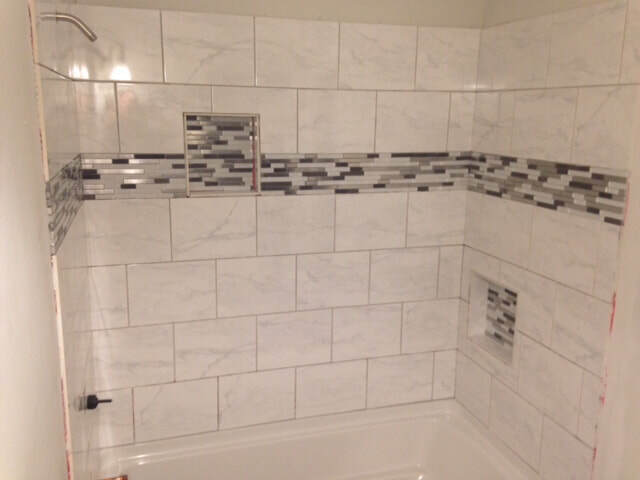 is an independent, locally owned and operated home renovation service providing home repair, remodeling and renovation services to Boone and the surrounding high country area. Whether you have a few small projects, or are looking for a complete room remodel, I'll treat each job as if it were my own home. I take great pride in a job well done and strive to ensure 100% satisfaction for all my clients. I give free estimates, do not ask for payment up front, and guarantee quality on every job. Carolina Handysmith L.L.C. is fully licensed and insured to meet all state and local regulations, and to provide you with the security of working with a legitimate business. I appreciate your consideration and encourage you to checkout the rest of my website. Also, just click here or on the Yelp link at the bottom of the page to see customer reviews of my services. If Carolina Handysmith seems right for you, just give me a call, shoot me an email, or just fill out the info on the contact page. I look forward to servicing your home repair needs!